Just because you’re not willing to throw down $2,000 a month for a one-bedroom apartment doesn’t mean you should abandon hope of a nice place in Chicago. The following neighborhoods are full of opportunities to live in the city while leaving enough in the monthly budget to have a life. Logan Square: OK, this is, literally, one of the hippest neighborhoods in the country, so dubbed in a 2016 survey of real estate brokers, property managers, appraisers and marketing executives. Walkable, bike-friendly, loaded with places to eat and hear live music, and adjacent to public transit, Logan Square remains less expensive than neighboring Wicker Park and Bucktown while sharing many of the same attributes. The CTA’s Blue Line has a Logan Square stop and runs from O’Hare International Airport, through the Loop and into a few near-west suburbs. Add the many bus routes through the area and Logan Square makes transit as easy as it gets in the city. Andersonville: If you like franchise restaurants and chain stores, you won’t like Andersonville. Its shops and restaurants are independent and diverse — much like its residents, who range from descendants of the Swedish immigrants who built the area to a large lesbian population to young, single professionals and families with children. Like the other neighborhoods on this list, Andersonville is very bike- and pedestrian-friendly. But, transportation is also made easy by the CTA Red Line running through the area on its way to the far north and south sides of the city, and many CTA bus routes — primarily the 22 and 92. Lakeview/Wrigleyville: There is a lot of demand for rentals in Lakeview. Then again, there’s also a lot of availability. Why? People don’t often make the neighborhood their “forever” home. It’s a great place for young singles. 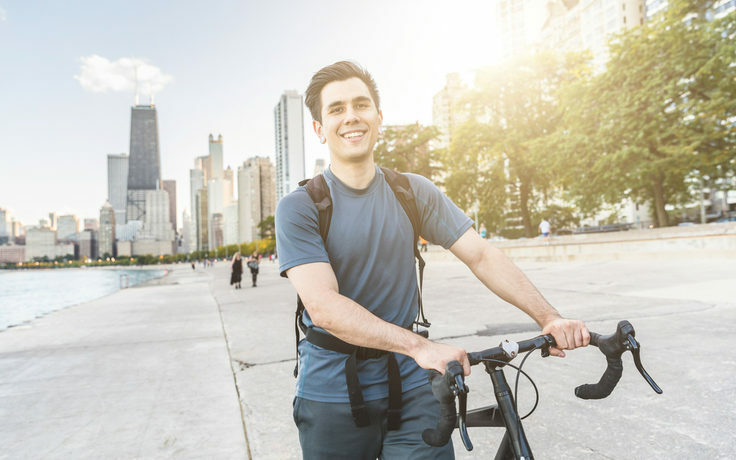 The energy is high and the attractions are plentiful, whether your thing is basting in the bleachers, brunching in Boystown or blasting down the lakefront bike path. The Belmont L stop is the busy intersection of the Brown, Red and Purple lines, and there are plentiful bus routes in the area, so getting around is easy. This is like living in Lincoln Park, without the attitude — or perhaps with an aggressively casual attitude. Ukrainian Village: Maybe not as Ukrainian as it once was, this tiny enclave surrounded by Wicker Park, West Town and Humboldt Park can still dish up a great pierogi. Or maybe you’ll want to frequent Rainbo Club, a no-frills bar that is still a hangout for musicians and writers and whose regulars have included Liz Phair and Nelson Algren. The Chicago Avenue commercial strip covers most shopping needs. The area is a little quieter and the housing stock a little more traditional than other neighborhoods you might be considering, but with the Chicago Avenue and Division Street bus lines both making stops at CTA Brown, Blue and Red line stations, public transit can deliver you anywhere you’d want to go. Remember, where you live should be about so much more than price. Be it access to a gym or a coffee shop, does the neighborhood have the amenities you prioritize? Is the type of housing the style you like? Will the commute be acceptable (whatever the weather)? Have you visited the area at various times of day? Working with a property management firm can help put you in the right place, for the right money.